The Trecan 40-SG is an excellent choice for airports, universities, parking lots, strip malls and shopping plazas. 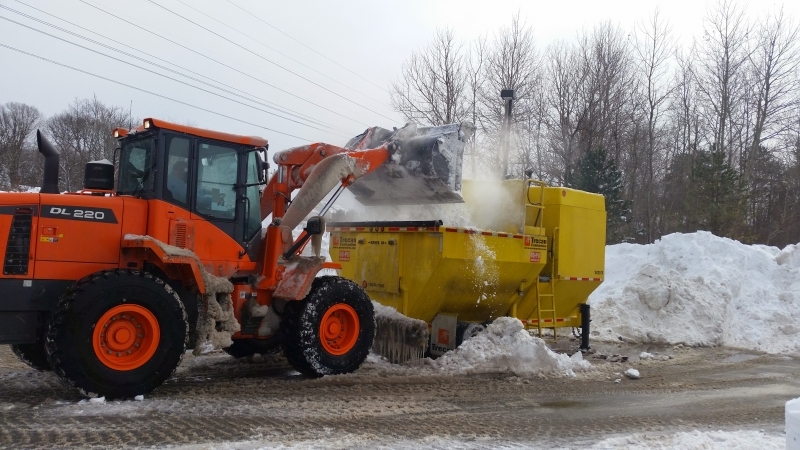 With a capacity of 40 tons per hour, its 9 Million BTU / hr burner can melt 100 to 200 cubic yards of snow with an average snow density of 15 to 30 lbs per/ft. per hour. 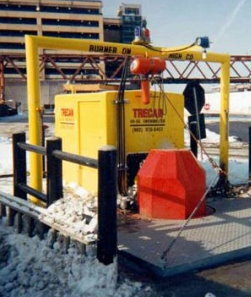 A Trecan 40-SG will use 9,000 SCFH or 8,971.28 cubic feet or 254 cubic meters of gas per hour, which at .42 cents per cubic meter equals $ 106.68 per hour to melt 40 tons of snow. Compared to a portable diesel powered unit that will require 244 Litres of diesel per hour to melt 40 tons of snow.